LIKE SANTA CLAUS and time travel, "free" college tuition sounds great in theory but doesn't actually exist in real life. For much of the past year, Bernie Sanders's promise to make public higher education free for all attracted multitudes of enthusiastic supporters to his presidential campaign. Last week Hillary Clinton embraced most of the Sanders proposal, paving the way for him to formally endorse her on Tuesday and, she hopes, to convince voters who #FeltTheBern in the primaries to back her in November. Under Clinton's new plan, in-state tuition at public colleges and universities would be abolished for students from families with incomes up to $125,000. The campaign estimates that that would make higher education tuition-free for more than 80 percent of American families. The hard truth, alas, is that higher education cannot possibly be free. In time, the Rockies may crumble, Gibraltar may tumble — but no politician's promise or electoral mandate will ever make the costs of providing a college education vanish. There ain't no such thing as a free lunch: That has always been the first pillar of economic wisdom. Even Clinton acknowledges that "free" tuition will be expensive. Her campaign puts the 10-year price of implementing the proposal at roughly $450 billion. The American Association of State Colleges and Universities tells Time magazine that $520 billion would be closer to the mark — and that's before taking into account the "reinvestment" by the states that Clinton's plan would require. A promise of "free" tuition is merely a promise to stick someone else with the tab. At half a trillion dollars or more, the tuition tab is already pretty enormous. If there's anything we should have learned from 40-plus years of government efforts to keep higher ed affordable, it is that the more Washington pours into holding down the cost of college, the more expensive college becomes. Uncle Sam has tried everything — grants and loans, subsidized work-study jobs, tax credits and deductions. Result? The price of tuition, room, and board at an in-state, public college has soared from $1,405 in 1971 to $19,548 today — an increase of 1,300 percent. Unlike food, clothing, and energy, the cost of college has raced far ahead of inflation. As economic studies, including recent work at the Federal Reserve Bank of New York, have repeatedly shown, the government aid meant to quell the flames has succeeded only in fanning them. If the Clinton/Sanders pledge becomes law, it is virtually certain that college will become even more costly. Perhaps that explains why 20 out of 22 economists surveyed by NPR judged Sanders's proposal a bad idea. Of course Washington can formally shift the cost of college from students and their families to the taxpayers. But that won't let students and their families off the hook. For one thing, their families are taxpayers, too. 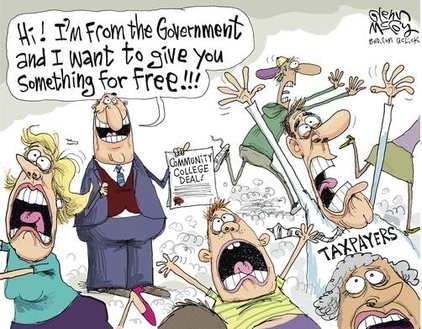 And as students join the workforce and become taxpayers themselves, they will really feel the burn — from tax rates that had to be raised to accommodate the half-trillion-dollar cost of their "free" tuition. Besides, making any good or service free encourages people to waste it. No product was ever valued more highly by being given away for nothing. Pass legislation that lets anyone go to college on the taxpayers' dime, and we'll see more unmotivated college students whose time would be far better spent elsewhere. The overconsumption of higher education is already pronounced. 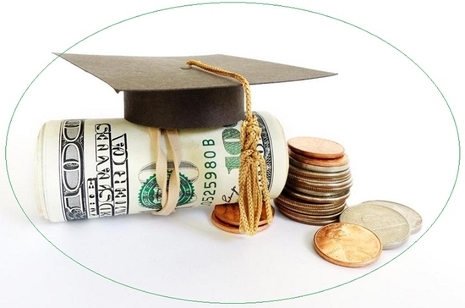 Just 59 percent of college students at four-year institutions manage to earn a degree within six years. "Today's college students learn a lot less than college students once did," writes economist Thomas Sowell. "If college becomes 'free,' even more people can attend college without bothering to become educated and without acquiring any economically meaningful skills." "Free" K-12 education is replete with problems. To turn a famous Hillary Clinton phrase, it requires a willful suspension of disbelief to conclude that "free" tuition will improve higher education. It may be good for politics, but making college "free" will only make it worse.